Being one of the greatest inventions of the 20th century makes the mobile phone something we cannot imagine our lives without. The fact that this small piece of technology provides us with numerous functions, among which the most valuable one is communication; puts the mobile phone in the center of people’s world. A mobile phone provides people with music, access to search engines, chatting options and even playing games. However, the time students spend on the phone nowadays becomes extremely worrying because they do not understand the many negative effects mobile phones have aside from the actual advantages. The main reason why mobile phones are bad for the people is their influence on health. Mobile phones are harmful to the heart, brain and the body in general. According to some researchers, using the mobile phone too often may lead to serious brain damage. A proof of this statement is the headache many people complain about after using the phone for too long, especially when talking on it. The waves from the mobile phone move to the brain and cause the headache, which may even result in poor memory. A person using their phone too often can developa heart disease. What many people are not aware of is that a person is not only exposed to the dangerous waves when holding the phone, but also when the phone is kept near the body. Consequently, if a person is keeping the phone near the body or even under the pillow, this may cause serious health problems in the long run. According to a 2013 survey, 63% of the mobile phone users aged 16-29 fall asleep with the phone in their beds. Students are spending most of their time on the mobile phone, chatting with friends and posting photos. The majority of students falls asleep with the phone in their hands or simply keeps it close in case someone calls. They spend hours in front of the mobile phone, talking to their friends, girlfriends and boyfriends and even just checking what others posted on social networks such as Facebook or Instagram. Expecting constant updates and notifications can often cause anxiety and even depression. 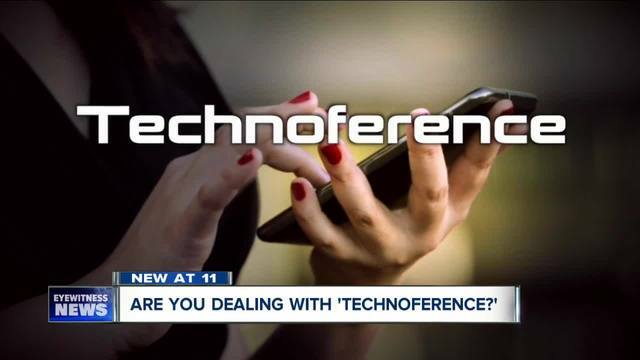 As a study from the Northwestern University has revealed, people who spend a lot of time on the phone are more likely to be depressed than those who do not. Using the phone before going to bed is known to cause restlessness and insomnia. This is why people spend hours trying to go to sleep after spending a lot of time on their phones. The waves of the phone hurt the brain, which causes difficulty falling asleep, and consequently, sleep deprivation. 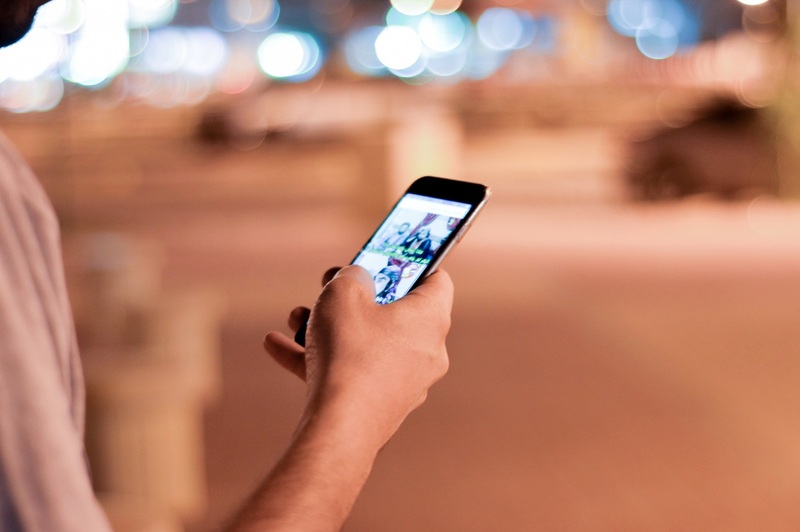 Not only mobile phones can affect the health of people if used too often, but they can also limit the face-to-face communication between them. At this moment, people are able to use their phones to chat with others and even see each other while doing this. Of course, this is an amazing advantage if two or more people are far apart, but students nowadays use their phones to communicate in the classroom, in their homes instead of going out with their friends and even while they are out. It so often happens that every person sitting on the same table has their phone in their hands and chat with people or play games. Regardless of the reason, this prevents them from communicating with each other. 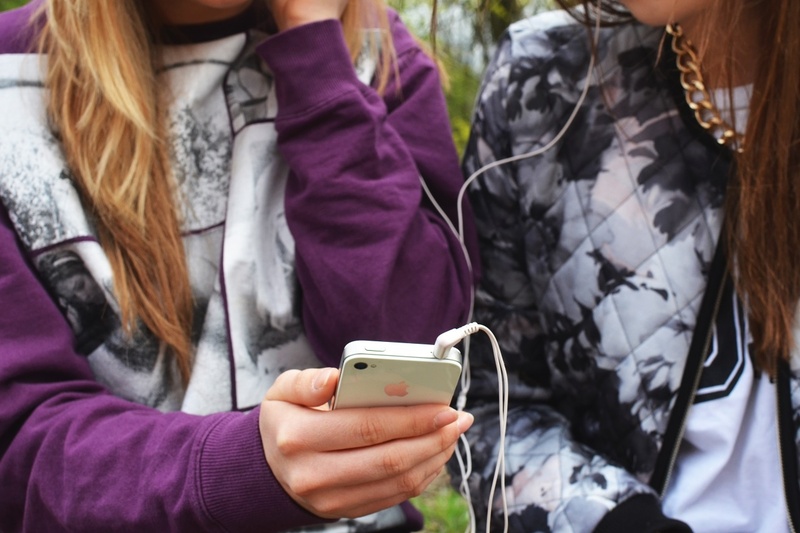 Students often use their phones to listen to some music. Even though music can be relaxing and even healthy for a person, using the headphones too often can damage the ears and even lead to deafness. Using the headphones in the car or using some other technology that will allow your hands to be free is allowed, but seeing that students are not experienced drivers, using the mobile phone in the car is also a bad idea. People often use cell phones when on the road. Even if the phone is not in the hand of the driver, the focus can easily move from the signs and the road rules to the conversation being held. Additionally, phone ringing or even something as short as a notification can lead to loss of focus on the road, which in term may result in a dangerous accident. 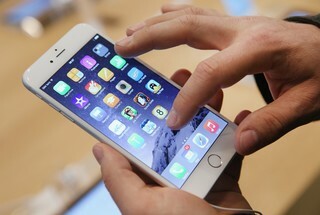 Mobile phones are a known source of bacteria. Even if a person is cleaning the phone regularly, it is still known to be very harmful when a person lets it touch their face. According to one research, the phone is has 10 times the bacteria amount commonly found on a toilet seat. The mobile phone is the most important method of communication of today, which makes it inevitable and inseparable part of our lives. Nearly every person in the world has a mobile phone at this moment, using the many advantages this technology provides us. However, learning the negative effects of the phones is an extremely important thing, especially when it comes to students. Being addicted to the mobile phone can lead to some serious health, social, psychological, hygiene and even life-threatening problems. Therefore, it is crucial for every student to understand that, even though phones are the trait of the 20th century, they can be very damaging to people if used too much. A mobile phone (also known as a wireless phone, cell phone, or cellular telephone  ) is a small portable radio telephone . A cell phone combines technologies, mainly telephone, radio , and computer . Most also have a digital camera inside. Cell phones work as two-way radios . They send electromagnetic microwaves from base station to base station. The waves are sent through antennas . This is called wireless communication. Early cell telephones used analog networks . They became rare late in the 20th century. Modern phones use digital networks. The first digital networks are also known as second generation, or 2G, technologies. The most used digital network is GSM (Global System for Mobile communication). It is used mainly in Europe and Asia , while CDMA (Code-Division Multiple Access) networks are mainly used in North America . The difference is in communication protocol . Other countries like Japan have different 2G protocols. A few 2G networks are still used. 3G are more common, and many places have 4G. The radio waves that the mobile phone networks use are split into different frequencies . The frequency is measured in Hz . Low frequencies can send the signal farther. Higher frequencies provide better connections and the voice communications are generally clearer. Four main frequencies are used around the world: 850, 900, 1800 and 1900 MHz. Europe uses 900 and 1800 MHz and North America uses 850 and 1900 MHz. There are different kinds of phones. A flip phone flips open, and is best for calling. A bar phone is shaped like a candy bar, and the keys and screen are on one face. A slate phone is a phone that has almost no buttons, and uses a touchscreen . Most smartphones are slates. A slider phone slides on rails. It can slide out number keys or a mini keyboard , but some do both. A swivel spins on an axle. Mobile phones use different technical standards. GSM phones need a separate microchip , called a Subscriber Identity Module or SIM card , to work. The SIM has information like the phone number and payment account and this is needed to make or receive calls. The SIM may be supplied by the same company as the phone, or a different one. Sometimes you can change the network by using a SIM from another network, but some companies do not want this to happen and they lock the phone so that you have to use their SIM. A majority of new mobile phones from the 21st century are smartphones . These phones are basically small computers . Besides calling, they can be used for email , browsing the internet , playing music and games , and many other functions that computers can perform. Most smartphones run a common mobile operating system . This allows developers to make mobile apps that work on many different phones without needing to change the code . Examples of smartphones include Apple’s iPhone (which uses iOS software) and Samsung ‘s Galaxy series, one of many phones that use the Android platform made by Google . Wikimedia Commons has media related to Mobile phones . ↑ Ulyseas, Mark (2008-01-18). “Of Cigarettes and Cellphones” . The Bali Times. Retrieved 2008-02-24. ↑ Lunden, Ingrid (2 June 2015). “6.1B Smartphone Users Globally By 2020, Overtaking Basic Fixed Phone Subscriptions” . TechCrunch. Retrieved 6 February 2018. ↑ Lunden, Ingrid (2 June 2015). “6.1B Smartphone Users Globally By 2020, Overtaking Basic Fixed Phone Subscriptions” . Artgiri. Retrieved 6 February 2018. BUFFALO, N.Y. – Is there something you wish had never been invented? For a second-grader in Louisiana, it’s their mother’s cell phone. The student’s teacher, Jen Adams Beason, posted this comment on her Facebook page, along with the child’s essay. In that post, Beason revealed that four of her 21 students also said they wished cell phones had never been invented. 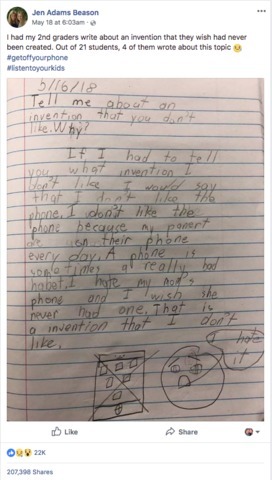 In the essay, the student wrote, "I would say that I don’t like the phone," capping off the work with a drawing of a cell phone with an "x" through it and a sad face saying, "I hate it." The image was posted on May 18 and has since been shared more than 207,000 times. As you can imagine, it’s generating a strong response online. "Wow. Out of the mouths of babes! We are all guilty!" wrote one person. "Truth from a second grader! This is powerful," added another. A 2017 survey reported that half of parents found using technology disrupted time with their children three or more times a day.